It all started in the Malawian Highlands when I first picked up a fly rod at the tender age of 8. Being raised in a family fishing business manufacturing fishing lures in the early 1980’s it was inevitable that fishing would be in my blood. After years of artificial lure angling I started fishing for trout in rivers and still waters in the Natal Midlands and discovered that casting a fly was my greatest passion. After leaving school I joined the Fly Fisherman in Pietermaritzburg and gained experience in the retail industry, learning all aspects of fly fishing by targeting salt and freshwater species on the fly. 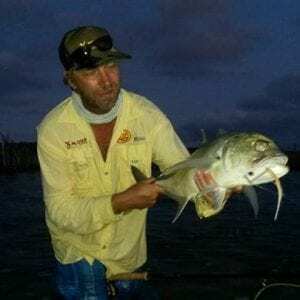 After relocating to Durban to open a new branch of The Fly Fisherman I spent countless hours on the North and South coast fishing estuaries, harbours and the surf. 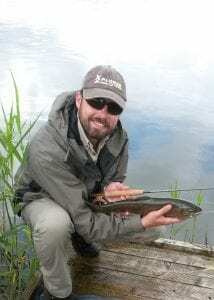 In early 2000 I moved across to the wholesale side of the industry, joining Xplorer Fly Fishing, where I have been managing the sales relationships for the past 16 years. I have worked with Xplorer Fly Fishing on the R&D aspect of tackle development and marketing, assuming the role of brand ambassador. As the brand ambassador for Xplorer Fly Fishing, I have been privileged to host the Wild Fly Fishing Series, covering many a destination around the globe. From Bill Fish offshore, to bones on the flats, to mountain streams casting dry flies to rising Brown Tout. My passion for Fly Fishing has grown even more so as I enjoy targeting as many species on fly as possible. >With my interest in trout fishing I have relocated to the KZN Midlands where I guide clients and manage still waters ensuring great fishing. I run specialised clinics targeting different species on the fly. As the brand ambassador I cover all the Fly Fishing festivals around the country meeting young and old Fly Fishing folk and learning something new every day. It’s not always about the Fishing but the places and the people you get to share this special sport with. I started fly fishing and fly tying in my first year of high school and have been passionately hard at it ever since. In my early twenties I began working in Fly fishing retail at Laxton’s Hunting and Fishing in Illovo Jhb, becoming a shareholder after a few years. At this time, I fished extensively for yellows on the Vaal and I logged hundreds of hours for Stillwater trout in Mpumalanga and small stream trout in the many Berg streams, rivers becoming my passion. From retail I moved to wholesale and represented Bluewater flies, a local fly producer and distributer. At this time, I focused on fly fishing for the little known Largemouth Yellowfish and, with a group of fellow addicts, pioneered methods and flies to catch these elusive fish on the Vaal River, registering a world record 21lb Largemouth Yellowfish in 2005 with the IGFA. 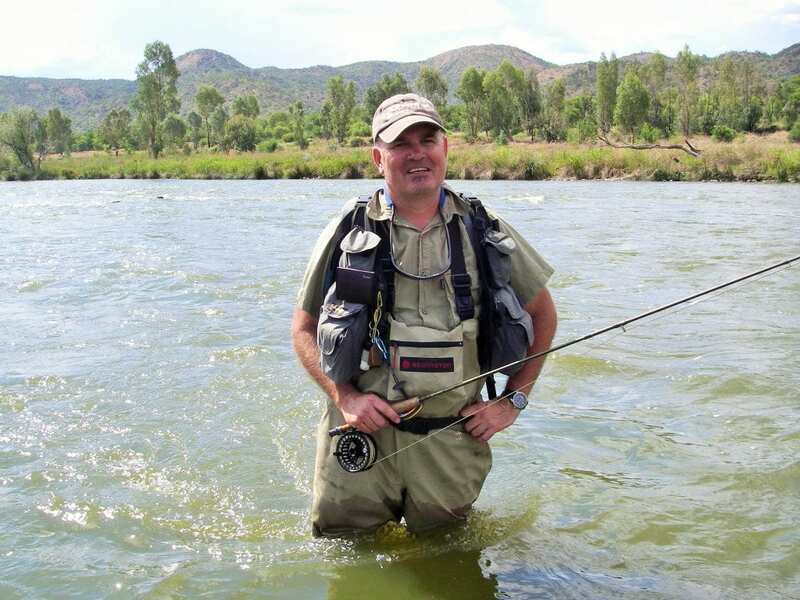 I left Bluewater to try my hand at professional guiding, completing my R.E.F.F.I.S and Theta qualifications and becoming a certified fly- fishing guide. For nearly four years I guided for yellows year-round and at Sterkfontein during the summer. During my guiding period I started writing for The Complete Fly Fisherman Magazine first as a contributor and later as a field editor. I currently write a bi monthly fresh water fly column and contribute several full-length articles a year. I quit full time guiding to take up a sales manager position with a fly fishing wholesale distributer and was involved in development and testing of new fly tackle and selling product. During this period, I completed a certificate course in aquaculture from the University of Stellenbosch, before leaving to work for a leading seller of general fishing tackle. I am excited to finally be representing a great brand like Xplorer and am looking forward to using my experience to grow the brand to new heights. “I grew up in the rural mountains of the Eastern Cape and started fishing at the age of 5 under the tutelage of my grandmother. By early teens I was fly fishing every little lake and river I could gain access to and cut my teeth fishing for trout, largemouth bass and yellowfish on fly. After meeting, persuing, dating and ultimately marrying a Northern Irish lass, I left my career as a Ranger and life in the bush for the ‘greener pastures’ of Northern Ireland. I now work as a Park Ranger and am also a fly fishing guide and casting instructor with APGAI Ireland.I would describe myself as a fanatic, obsessed by all things fly fishing related, but I have a particular fondness for persuing trout in the tiniest of rivers using ultra-light gear.